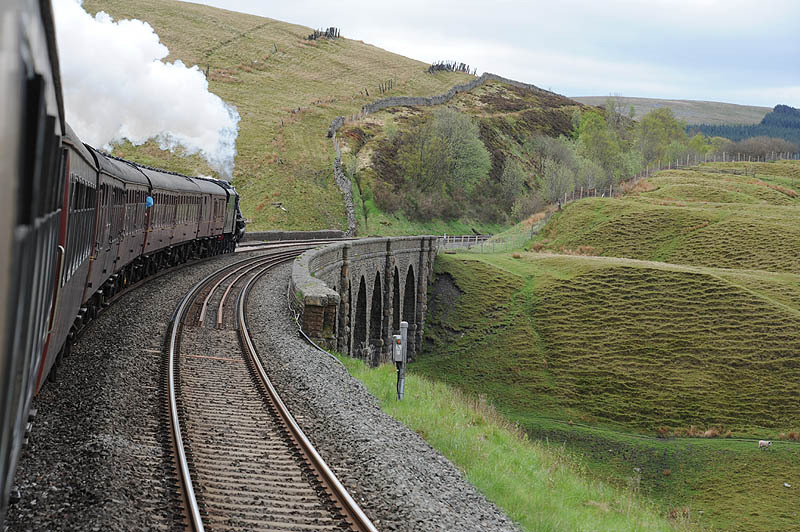 11 arches, 117 ft high, 220 yards long. 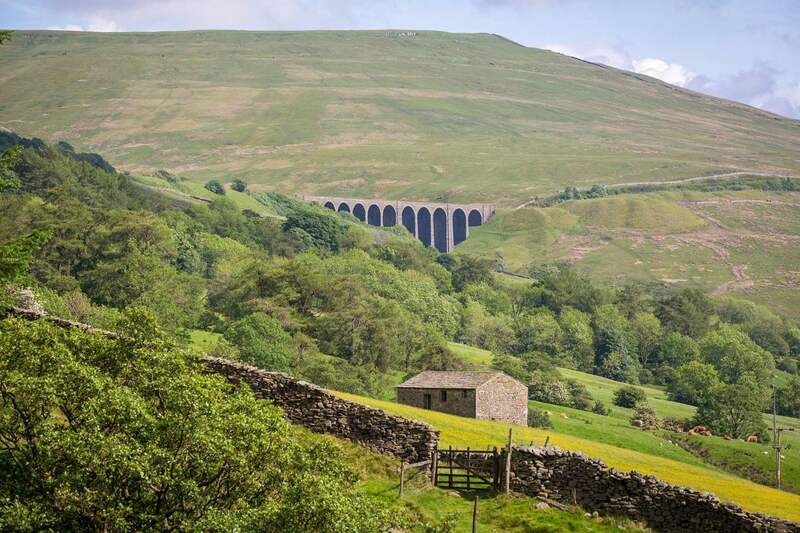 The construction of the Settle-Carlisle Railway was the most difficult and hazardous feat in railway engineering in England, and this is much in evidence at upper Dentdale, where the track emerges from Blea Moor Tunnel to cross two viaducts – Arten Gill and Dent Head. Arten Gill is the larger, and is built of massive blocks of Dent ‘marble’, from the now-disused quarries nearby. This stone was popular for use in ornamental masonry and was remarkable for its wealth of fossils. 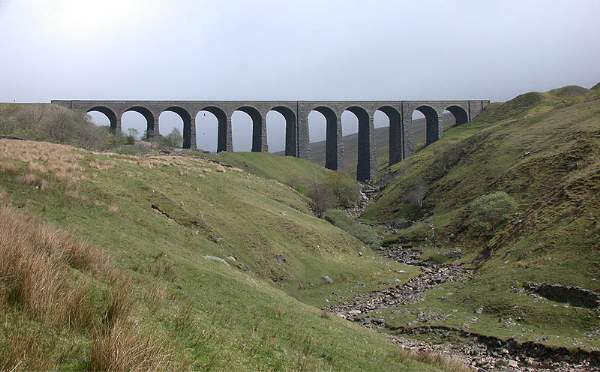 The viaduct carries the line over Arten Gill Beck. 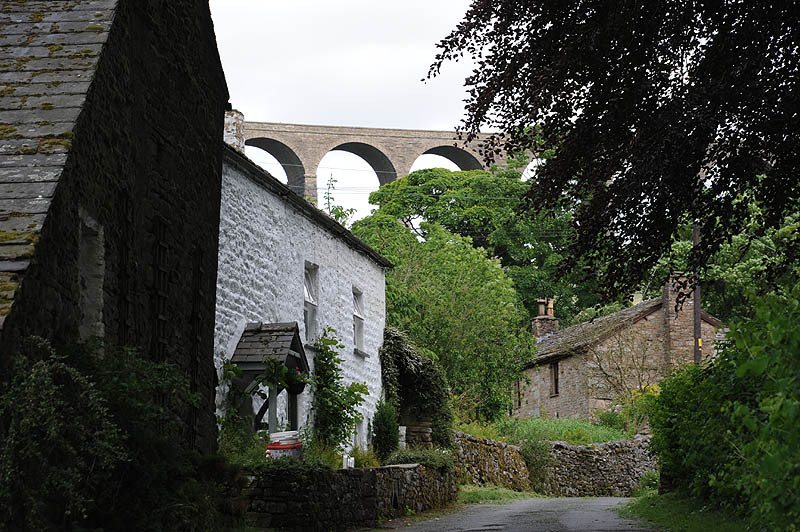 The viaduct featured in a scene in the movie “Miss Potter” – the Beatrix Potter biopic staring Renee Zellweger, as she travelled from London to the Lake District, though in reality this journey would not have gone via this route!